Hi, and welcome to the home page of Gavin Terrill. I'm an Aussie living in Toronto, Canada. I'm currently working at BPS, a purveyor of fine enterprisey software, as their CTO. You can check out my résumé and see some of the interesting places where I have had the pleasure of working here (please note I am not currently looking for a job). I'm also on LinkedIn. I love music, and enjoy playing guitar and singing. Every now and again our band - C'est Si Bon - performs around Toronto. 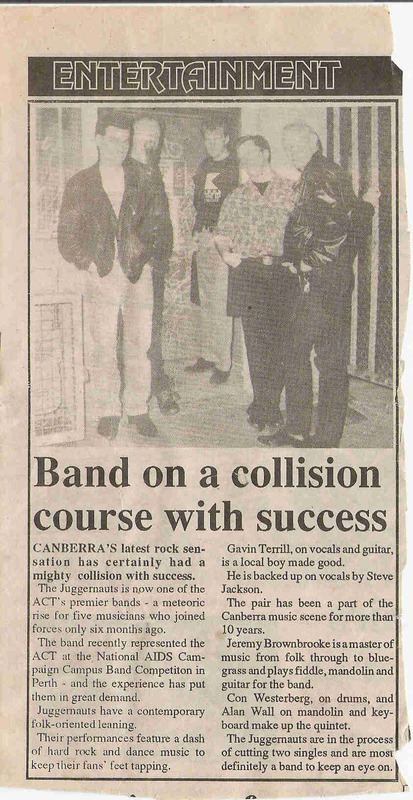 Back in Australia, I played with a Celtic rock group (the Juggernauts!). When I'm not playing, I'm fishing, or sailing my 30 ft. 1952 classic wooden sailing yacht 'Argo III' (Dragon class, for you nautically inclined folks) down at The National Yacht Club, or contributing news for the Architecture queue on InfoQ. Need assistance with your Shopify site? I can help!